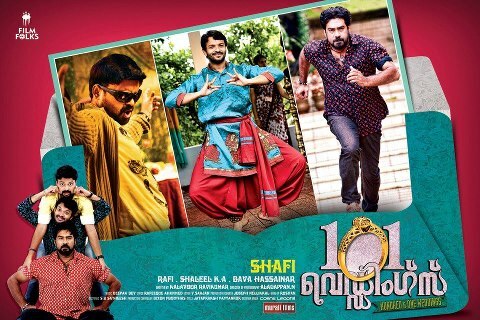 One of the much awaited entertainer '101 Weddings' will hit theatre tommorrow (November 23, 2012). The movie directed by Shafi and produced by Rafi has Jayasurya, Kunchacko Boban, Biju Menon, Samvrutha Sunil, and Bhama in the lead roles. The film is a romantic comedy which is set against the backdrop of a mass marriage ceremony.